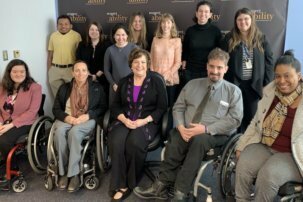 Washington, D.C., Aug. 7 – On an oppressively humid day, the RespectAbility National Leadership Fellows gathered around a table with disability rights icon Judy Heumann, who is most famous for her leadership of the 504 Sit In which was immortalized in a Drunk History segment. 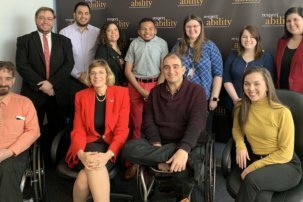 Heumann was generous with her time, answering questions from the Fellows about the disability movement and her hopes for the future. Heumann pointed out over and over again that disability is a unique minority category. Disability intersects with all other minority groups, and anyone can join the disability community at any point in their lives. A combination of invisibility and stigma causes disability to be excluded from major activist movements, and those who might identify with and disclose a disability may elect not to. When asked about the disability rights movement today, Heumann seemed disappointed, but decidedly optimistic. She voiced her worries about self advocacy. 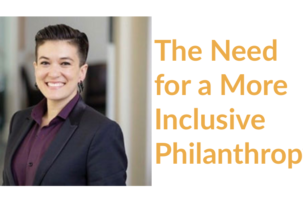 “One of the ways that we do a lot of our work in the U.S. in relationship to fighting discrimination is the presumption that people know their rights, they know the laws, they are willing to file a complaint. We know that many people will never do that.” Helping people to learn about their rights is of critical importance. Through the entire conversation, Heumann was unfailingly fierce in her convictions. When a Fellow used the term “differently-abled,” Heumann was quick to interrupt and express her distaste for euphemism. “People don’t talk about disability because they’re afraid of it,” she said. She encouraged the Fellows to avoid terms like “differently-abled” and confront issues directly. Heumann seemed pleased with the progress of the disability movement in the past decades and yet also very emphatic that much more could have and should have occurred. “We need to continue to have more robust discussions in this regard and look at where we were, where we are and where we need to go.” She encouraged us to become more engaged fighting for our rights.